The Algarve is the southernmost region of mainland Portugal. It has an area of 5,412 square kilometres (2,090 sq mi) with approximately 451,005 permanent inhabitants, and incorporates 16 municipalities. The region coincides with the Faro District, and has as its administrative centre the city of Faro, where both the region's international airport at Faro (FAO) and public university (the University of the Algarve) are located. Tourism and related activities are extensive and make up the bulk of the Algarve's summer economy. Production of food, which includes fish and other seafood, fruit, oranges, carob beans, figs and almonds, is also economically important in the region. 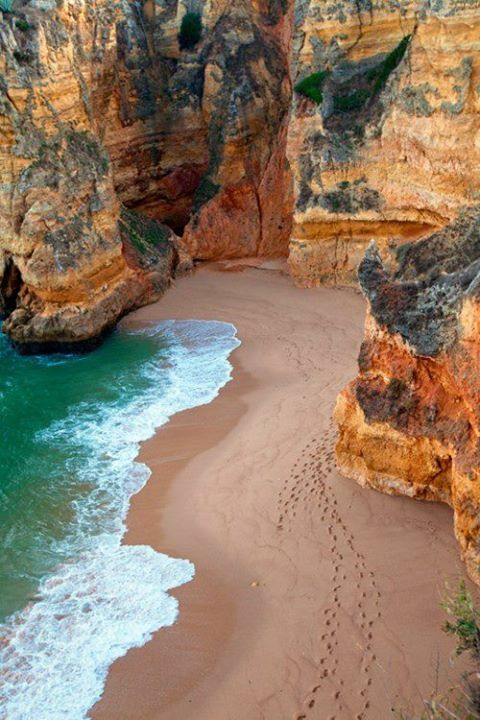 The Algarve is the most popular tourist destination in Portugal, and one of the most popular in Europe. Its population triples in the peak holiday season thanks to a high influx of visitors, and receives an average of 7 million foreign tourists each year. In total, including national visitors, almost 10 million people visit the Algarve every year.